Just wanted you give ya a heads up that your new favorite breakfast options are sponsored by my friends over at Naturally More! 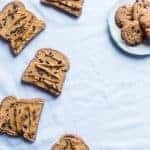 Make either this gluten free, easy vegan cookie dough toast, or 4 of the other healthy, dessert-inspired toasts to feel like you’re eating dessert for breakfast! You can even prep the toppings ahead for easy mornings! AKA: Crispy-crunchy bread LOADED with delicious toppings that E’RYBODY is going CARAYZAY over right now. Which is really no surprise. Because carbs + a variety of OPTIONS for fun toppings can only be the most perfect way to start the day. FACT. Not even going to lie, I eat “avocado egg” toast every single day of my life. Toast is here and it is HERE TO STAY. 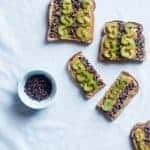 You’ve probably seen about 42 billion versions of toast, ESPECIALLY avocado toast, blowing up your Pinterest feeds in the past few months. Like we said, ALL the cool kids are putting crispy pieces of bread, piled HIGH with yumminess into their mouth. And, just like the curry cashew chicken sheet pan dinner, I am late to the party in the sense that this is the first toast recipe EVAH on our little space of internet-friendship and food-love. Which is why I have 5 (!!!!!) 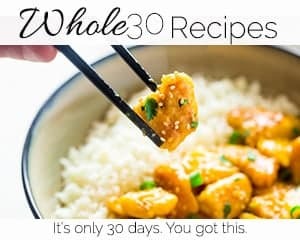 recipes for you in ONE post. ANDANDAND, we’re straying away from the usual avocado toast and make DESSERT TOAST. Making up for lost time so that you forgive me for my lack of toastiness. Is it working? My little interwebz-BFFS, you have gone BONKERS for things like cookie dough overnight oats, brownie vegan pancakes with cookie dough swirl, gluten free cinnamon roll overnight oats and banana split vegan smoothie bowls. This tells me that, you will ALWAYS AND FOREVER have a VRY VRY special place in your heart for any time that your hangry-sleepy-eyed self can roll out of bed and munch your way through DESSERT FOR BREAKFAST. 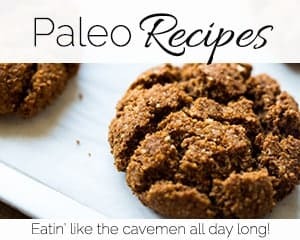 You’ve also gone mental for chocolate peanut butter oatmeal breakfast bars, vegan cookie dough stuffed peanut butter bites and cookie dough almond butter, which A-L-S-O leads me to the notion that anything nut butter? YA DIG IT. This is why I like you. You have incr-EDIBLE taste buds. OBVI this means that your (and mine) favorite obsessions need to come together in a MEGA-TRANSFORMER of nut-buttery-dessert-for-breakfast food bliss. 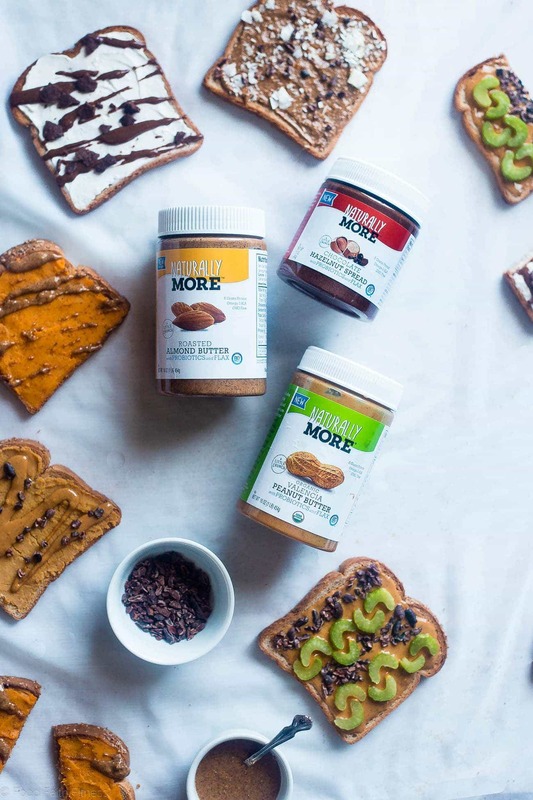 Let’s say hello to Naturally More Nut Butters because my friends? You are going to REALLY like the way they make these toasts EXTRA delicious. 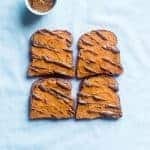 These nut butter spreads (peanut! Almond! Chocolate hazelnut!) have an INSANE amount of creaminess going on, that’s coupled with a mega dose of good-for-you nutrition, in the form of added probiotics (happy tummies!) and the plant-based powerhouse that is flaxseed! Not to mention they’re packing natural, vegan-friendly, clean protein! And a SUPER dose of yumminess that’s making these dessert toasts your new morning, breakfast-BFF. 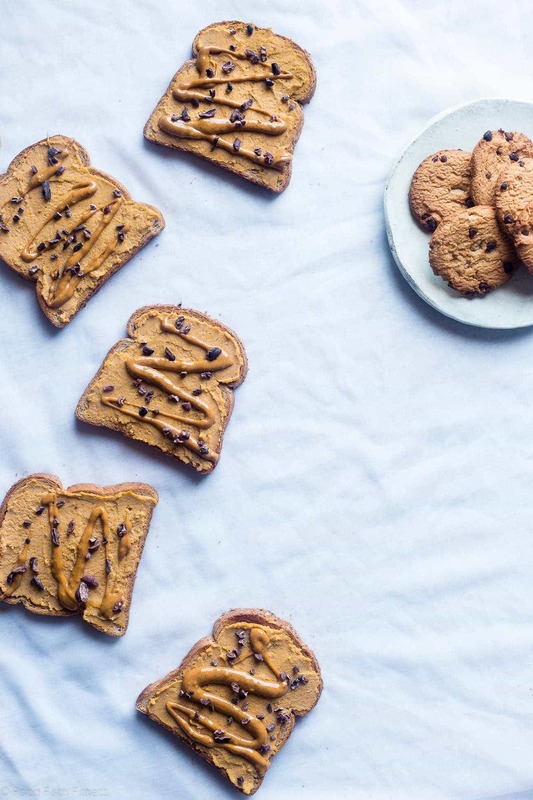 First up, we’ve got COOKIE DOUGH TOAST. Just like the vegan brownies stuffed with peanut butter cookie dough and cookie dough banana ice cream recipe, we’re using chickpeas as the cookie dough base. Sprinkle some cacao nibs on top for XTRA superfood nutrition…and don’t forget an extra peanut butter drizzle! Then, there’s “Ants On a Log Toast.” So, it’s not REALLY dessert. But, it tastes like a grown-up-person remake of your childhood fav. I figured you would let it slide. 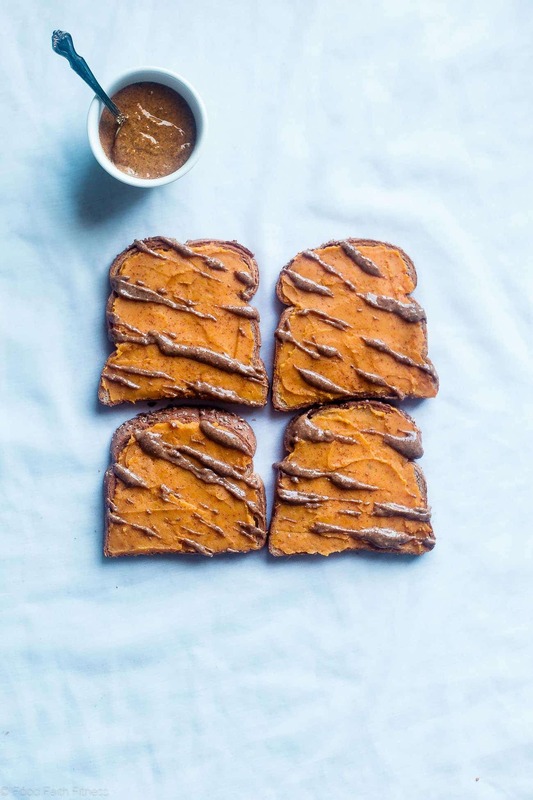 NEXT: the creamy deliciousness that is Sweet Potato Pie Toast! The crispy-crunchy bready mimics crust, and the mashed-sweet-and-spicy sweet potato topping is packing a major dose of pie flavor. A super-thick drizzle of almond butter is sealing the deal as YUMMAYYYY. Then we’ve got the classic “Almond Joy Toast.” One of my favorite candy bars. One of your favorite candy bars. It’s got ALL the same flavor but with a mega-dose of healthy fats and superfoods. 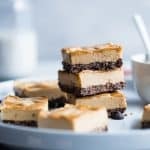 The cookie portion from the cookies and cream paleo protein bars is sprinkled on TOP of a velvety-smooth “cream cheese” base and then drizzled with luscious, rich chocolate hazelnut spread. You’ve got the creamy and the crunchy and the YUMMY. “Dessert toast: 5 ways,” it’s about to bring your love-to-eat-dessert-for-breakfast-self LIFE. Want to eat cookie dough, for breakfast? 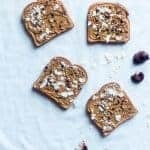 These healthy, gluten free toasts let you have dessert for breakfast, and you can prep the toppings ahead! In a SMALL food processor (mine is 3 cups) combine the chickpeas, peanut butter, agave, vanilla, cinnamon and salt until well combined. You will need to stop and scrape down the sides of the food processor quite regular, and blend for a few minutes, to get it nice and smooth. 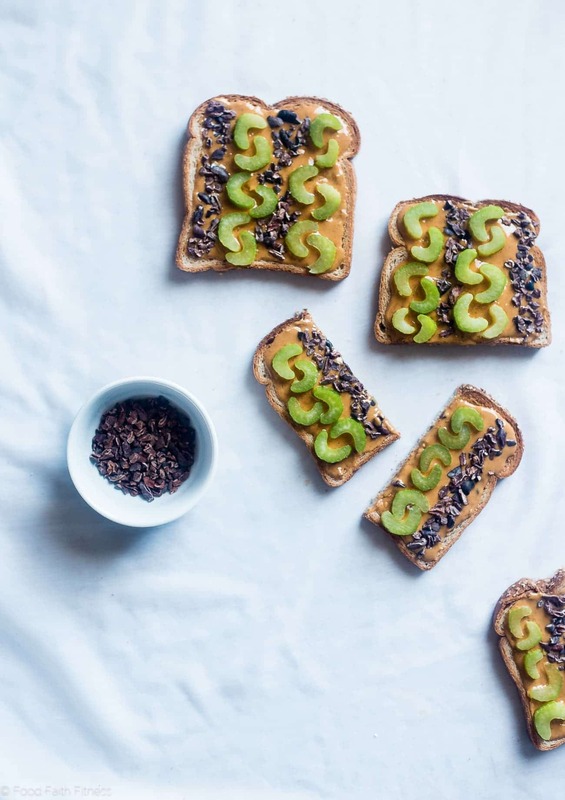 Sprinkle the cacao nibs on top of each toast and drizzle with more peanut butter. 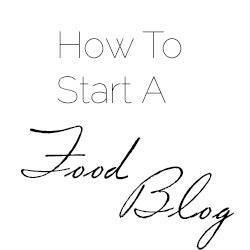 * Cookie dough can be made, and stored in the refrigerator, if you only want to eat one toast at a time. This way, you're ready to go each morning! Want to eat ants on a log for breakfast? 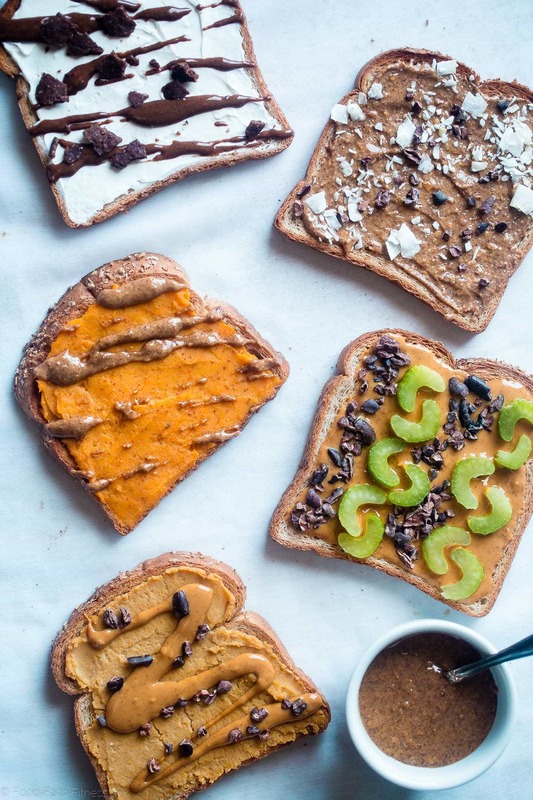 These healthy, gluten free toasts let you have dessert for breakfast, and you can prep the toppings ahead! Cover the top of the toast with sliced celery and sprinkle on cacao nibs. DEVOUR. Want to eat an almond joy for breakfast? 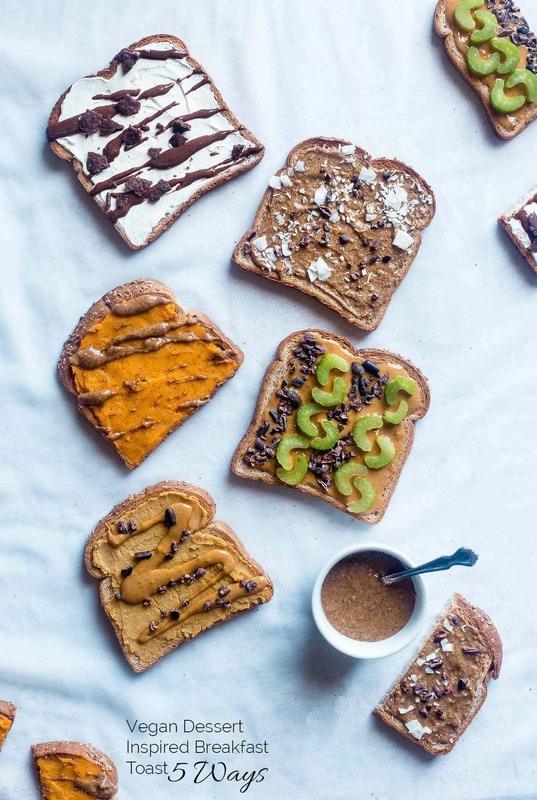 These healthy, gluten free toasts let you have dessert for breakfast, and you can prep the toppings ahead! Divide the coconut and cacao nibs over top and DEVOUR. Want to eat sweet potato pie for breakfast? 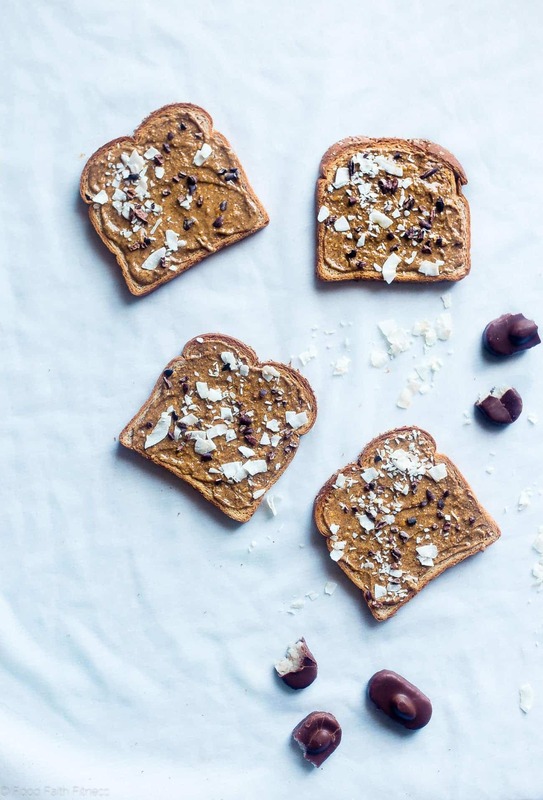 These healthy, gluten free toasts let you have dessert for breakfast, and you can prep the toppings ahead! In a small bowl, stir together the mashed sweet potato, coconut sugar, vanilla, cinnamon, nutmeg and a pinch of salt. Toast the bread and divide the topping between each slice, spreading out evenly. Drizzle with almond butter and DEVOUR! 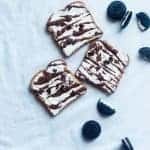 Vegan cookies and cream toast! 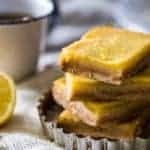 These healthy, gluten free toasts let you have dessert for breakfast, and you can prep the toppings ahead! 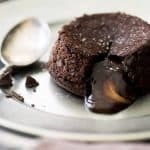 In a small bowl, mix together the almond flour, coconut sugar, coconut flour, cocoa and salt. Add in the melted oil and apple sauce and use your hands to mix until it forms a cookie-dough-like ball. Line a large, microwave-safe plate with parchment paper and press the cookie dough out into a very thin (1/10 inch) circle. I find using another piece of parchment to press it out makes it easier! Microwave the cookie until the edges darken and the top feels a little bit crispy, about 1 minute-1 min 15 seconds. I recommend checking it after a minute to make sure it doesn't burn. Place into the refrigerator for 15-20 minutes to let the cookie get crunchy. While the cookie chills, microwave the cream cheese for 3-4 seconds, just until soft. Mix together with agave and vanilla. Toast the bread and then divide the cream cheese mixture on each, spreading out thinly. Drizzle the hazelnut butter over top. *Cookie stays crispy in the refrigerator for a few days, so you can totally make the full batch and only eat one toast at a time! THIS POST IS SPONSORED BY MY FRIENDS AT NATURALLY MORE. THANK YOU FOR ALLOWING ME TO CONTINUE CREATING GREAT CONTENT FOR YOU BY SUPPORTING PARTNERSHIPS WITH SUPER-FAB BRANDS THAT FOOD FAITH FITNESS LOVES TO WORK WITH! AS ALWAYS, OPINIONS REMAIN 100% MY OWN! Movveeee over avocado toast, there are new toasts in town that are better than you! I like the way you think, dessert on toast is genius! Can I have one of each? YES to ants on a log toast! I KNEW you would like these girlfriend! You’re right, totally the new avo toast! Thank you! Sign me up! Cookies for breakfast?! Yes, please! Yes I LOVE that you put celery and chocolate and peanut butter together! Ants on a log toast for the win! And cookie dough? YES. YES. YES! HAHA YES! I just HAD TO DO IT. Looks so good and can’t go wrong with nut butter, one of my favorite foods. Dessert for breakfast is always a good idea! I’m all over the Almond Joy one and I have a soft spot for the celery one! 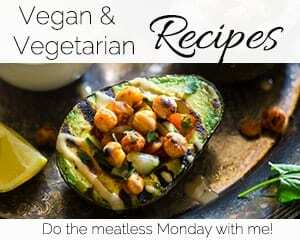 Mine too – I eat it every day!!! You need to try them girl – I totally have a soft spot for it too! Well hello heaven!! I want all of the pieces! YES!! I love all of these healthy options! You just made breakfast a whole lot better. 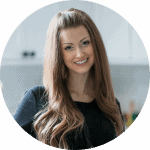 I am also a nut butter lover and I can’t wait to try Naturally More! You are going to LOVE them girl! Thanks! Now I want toast every single morning for breakfast this week! The sweet potato/almond butter one is going to the top of my list. You would LOVE it lady! Can’t wait to see you soon – thanks! We have been in a breakfast rut. 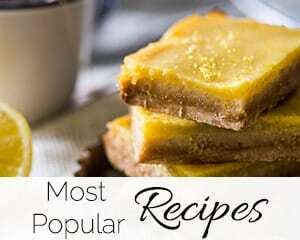 I needed some new ideas and these toast recipes are so fun! Thanks Jennifer! I totally feel ya about getting in breakfast ruts! What a great list of breakfast toasts! They all look so good, but I think the Almond Joy was my favorite! Thanks for the inspiration to make breakfast more fun! 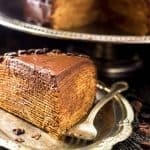 dessert for breakfast is a total win!! Now this is my kind of toast! Yes please on every single one!!! I love coming up with different ways to enjoy my nut butter, though straight off the spoon is the most common 🙂 These are ideas that would be great to feed the hubs though. Haha YES to off the spoon!! My hubs loved these! Well, I would never say no to dessert for breakfast! Especially HEALTHY dessert breakfast! Loving all of these options. I think the sweet potato toast is my fave!! Sounds so good! Ok I LOVE the fact that there are probiotics in that peanut butter! I just started giving probiotics to everyone in my family…but I’d much rather ingest them in nut butter form!!!! RIGHT?!!?! ME TOO!! You would love! These are beautiful! I am so not creative like this with my food. 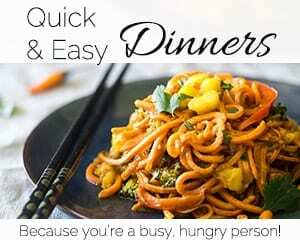 But you’re right, there are so many delicious ways to make healthy food taste amazing! Haha YES! It’s sort of an addiction 🙂 Glad you approve! One of my favs! Thanks! 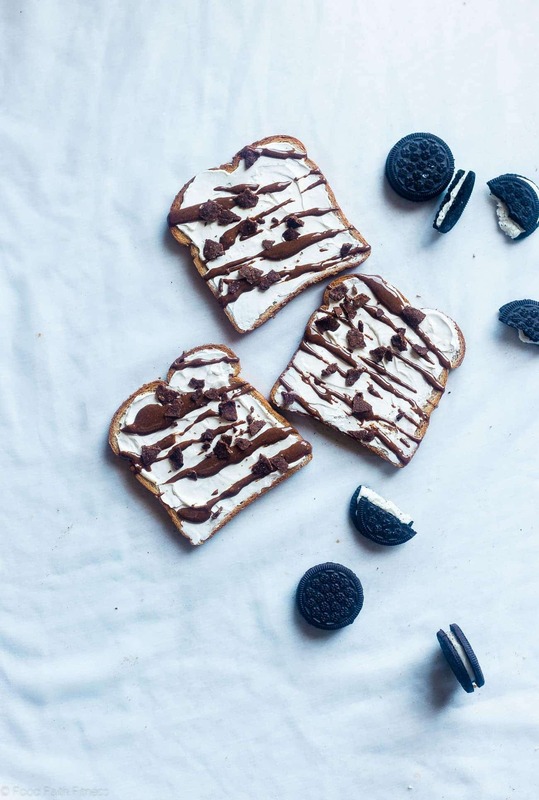 On the Cookies and Cream Toast- what temp. would I bake the cookie at and for how long? (We don’t use a microwave.) Thank you! 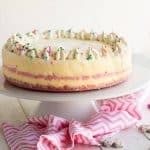 I really can’t tell you as the recipe was not tested any other way than written, I’m sorry! I would try 350 for 5-10 minutes? Just keep an eye on it and take it out when the edges begin to crisp, then chill. Hope that helps! 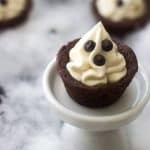 These are such fun flavor idea! I think I need to make the Almond Joy and Sweet Potato Pie ones soon. You even make toast look amazing! Your pictures are amazing and your combos on the toast is killer! I am excited to try them out! Wow. I am literally at a loss for words. This is…amazing….